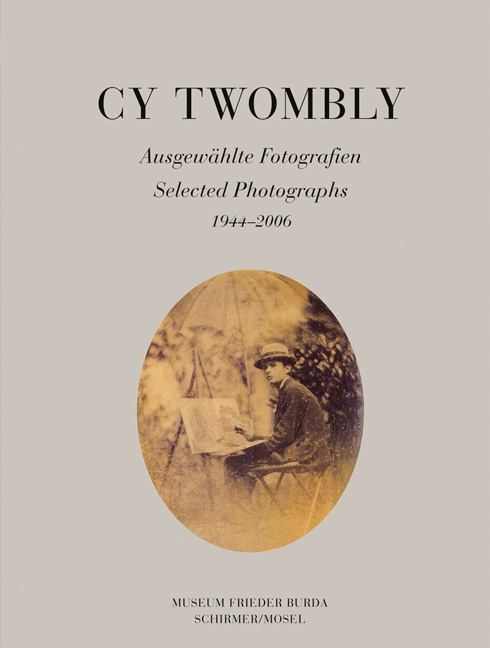 This elegant small volume presents 35 of Cy Twombly’s most impressive photographs taken between 1944 and 2006. Featuring the artist’s favorite sites, themes, and motifs – his early New York Fulton Street studio; his beloved peonies; interiors; landscapes; details of his own sculptures and paintings – it offers a representative insight into his poetic and sensuous photographic work fascinating by its particular aesthetics and the “silent presence” it exudes. Schirmer/Mosel. With a text by Helmut Friedel. 72 pages, 35 colour plates. Size: 18 x 24 cm, softcover. English/German edition.